A Sneak Peek at My Mandaue Foam Picks - Plus: Giveaway Winners Announced! Remember my When in Manila feature on Mandaue Foam's showroom in Las Pinas? Well, I went back there last week with the babydaddy to shop, shop, shop and shop some more. I also cried... True story. Anyway, here is a sneak peek at the stuff that I bought at Mandaue Foam - can you guess what they are? That last photo is a sneak peek of the piece of Mandaue Foam furniture that I cried about. Yes, I cried at the Mandaue Foam showroom because of this. Intriguing, huh? Congratulations, Salmon Cat, for winning the armchair and footrest! 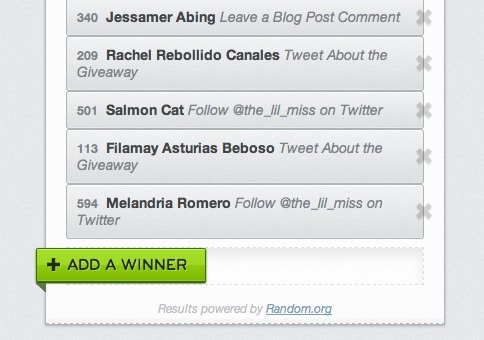 Looks like it's Salmon Cat's lucky day coz she's going home with three prizes from Mandaue Foam today! Wow! To claim your prizes, please email Jonver David at jonverdavid@gmail.com with your full name, contact number, and preferred branch to claim. gotta love getting treats for the house! congrats to the winners. Thank you! I've calmed down. :) Will be forwarding my deets to Jonver David.